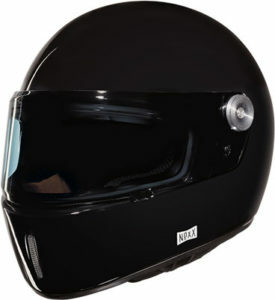 7 Best place to buy a Nexx crash helmet? 11 Good Alternatives to the X.G100R? 12 Looking to buy a Nexx helmet? 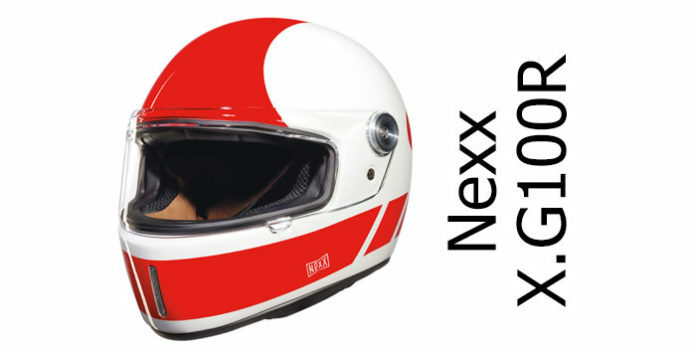 Nexx X.G100R – Retro cool full face helmet; now with added visor. First, Nexx introduced the X.G100. That’s a composite fibre retro helmet with a chin bar but no fixed visor. You can get a slightly weird external soft plastic visor held in place by snaps, and that’s fine if you like to try something a little different, but not if you’re riding serious miles. So now, Nexx has brought out the next step in the X.G100’s evolution – the X.G100R (R for racing). 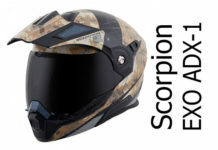 For the R, they’ve added an extra shell size to the line up, which means both the X.G100 and X.G100R cover more fitment sizes (now from XS – XXL), they’ve added an internal slider to let you close off the chin vent, and they’ve uprated the interior lining (see comfort section below). 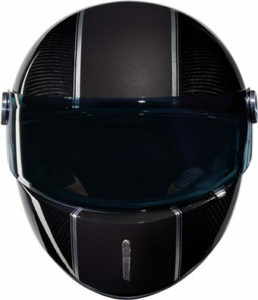 And – crucially – you can now buy an X.G100 with a permanent, articulating visor. Yay. All in all, now you can look cool and, when posing time finishes and riding time begins, have a more usable and practical helmet! 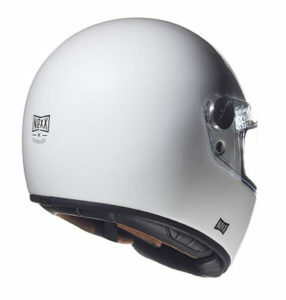 For more information on many more features, please check out our review of the original X.G100 visorless retro helmet. The X.G100R is available in both full carbon and Nexx’s X-Matrix composite material. That’s a composite of pretty well every well-known hi-tech helmet material you can think of – fibreglass, aramid, carbon and organic fibres all forming a complex laminate. Which should make for a decent and strong helmet shell. We’d still expect it to score about 3 stars in the SHARP helmet safety test, simply by looking back at previous Nexx scores (every Nexx helmet to date has scored 3 stars!) though obviously that’s an educated guess. 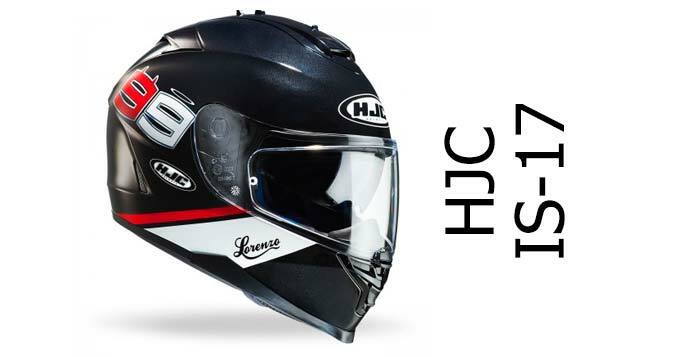 Having said that, it is of course ECE certified, and don’t forget that having a helmet that fits really well and is comfortable is just as important for safety as a high SHARP (or Snell) rating. So, if you’re unsure, follow our helmet fitting guide. Having a good quality, clear visor is massively important in keeping you out of trouble in the first place – so that’s another tick in the box for the X.G100R over the old X.G100. It’s also a wide visor to give extra good peripheral vision, and it’s secured with a double-d ring fastener. They’re fine, as long as they’re fully and tightly secured every trip. If they’re not, they can come off (unlikely but possible) although that goes for every type of helmet fastener, not just the d-ring. Check out the review of the original X.G100 to find more details on safety. As per the original X.G100, there’s not much ventilation going on in the form of vents. Of course, with the original, there wasn’t a fixed visor in place so it was always going to be pretty windy in there – at least around your face. There is a single small chin vent/slot in there and that does help with cooling a bit, but if it chucks it down in the old visorless X.G100, you can get a mouth full of rain. So, for the X.G100R, Nexx has put an open/close slider on the inside of the helmet so you can close it off; again, making the Race helmet more user-friendly and practical than the old helmet. The main difference between the old X.G100 and the R version is, of course, the visor. It’s a flat polycarbonate visor – Nexx mentions that it’s a Lexan visor but that’s just a manufacturer of polycarbonate so nothing to really write home about because all visors are polycarbonate. 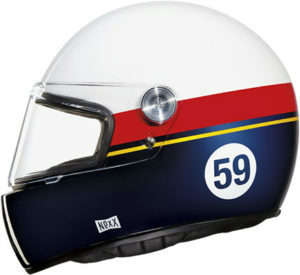 The ‘flat’ part means that it’s not shaped – apart from being stamped then wrapped around the helmet when it’s fitted. 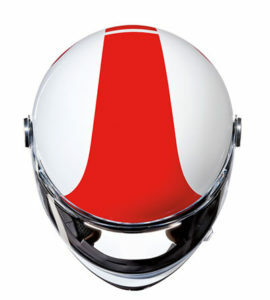 Racing helmets tend to have flat visors because it reduces distortion and means you can fit tear-offs. There aren’t any tear offs available for the X.G100R that we’re aware of, though there are various coloured smokes to suit your helmet or your bike. It’s also a wider-than-average visor, and Nexx say there’s an antifog insert available to keep visor misting to a minimum. The ones available for the X.G100R aren’t the usual Pinlock, they’re by an Italian company called Raleri who make inserts for all kinds of sports goggles and visors as well as for bikes – so we’d expect them to be pretty good. The good news is that Nexx is selling the X.G100R with an insert in the box – hurray! 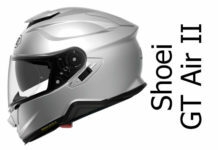 The X.G100R is an identical fitment to the old X.G100R – that’s a medium oval fitment with a nice plush liner. 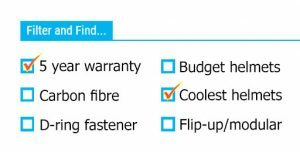 Having said that, Nexx has upgraded the lining with the R version (and retrofitted it to the old X.G100) and they both use Nexx’s X-Mart Dry moisture-wicking, anti-allergenic materials. That’s decent performance fabric and one that makes for a comfortable helmet lining. 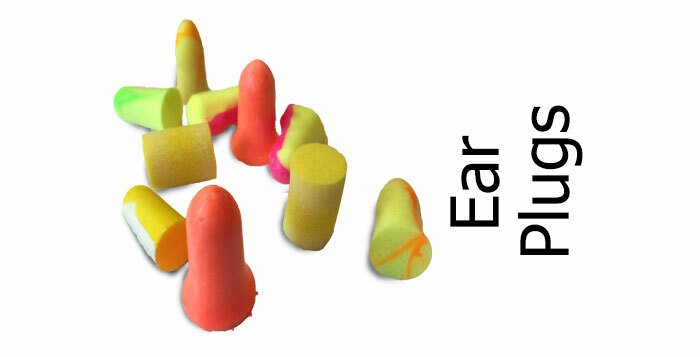 It also features 3D padding for a closer fit and is fully removable and washable. They’ve also added a nice retrotastic leather-look chin curtain to the bottom of the chin guard to keep out extra draft and noise (a bit). Obviously, the looks of the X.G100R speak for themselves and you’ve probably read this far because you’re sold on the idea of a retro helmet but one with a few modern touches. The graphics are important too – and Nexx has been busy creating some really rather nice paint schemes that really set off the form of the helmet. There’s a cracking looking plain carbon version (carbons are about 50 quid more) but if you’re looking for a graphic version to set off your bike, the rest use Nexx’s X-Matrix lightweight composite shells. 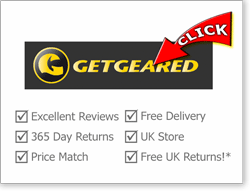 Please visit our recommended retailer pages to check the latest graphics in addition to the ones you’ll find up and down the page here. Please use the links below to jump straight to their Nexx Helmets pages. Here’s a 4m video showing you around the X.G100R in plain gloss black and a pair of motordrome graphics. 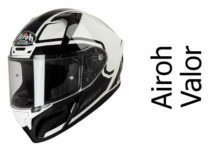 Like the original X.G100, the R version looks well put together, has a nice light weight shell and with the addition of the visor (with antifog insert) now works as a much better real world helmet for actual riding. Of course, you’re probably going to buy one because of how it looks, but we all want a helmet that works on the bike too and now there’s the chance to have the best of both worlds. Good Alternatives to the X.G100R? 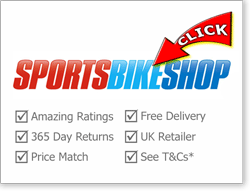 You can find all our reviews of retro helmets here. 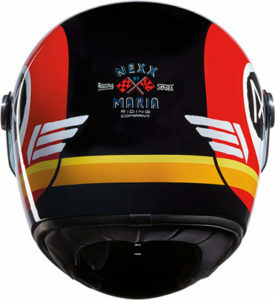 But if you’re after a retro helmet with a visor, there’s the excellent AGV X3000 which is an authentic-looking fibreglass helmet based on Agostini’s old racing helmet and comes with an articulated visor like the Nexx. Prices start where the Nexx leaves off. Or there’s the Bell Bullet. 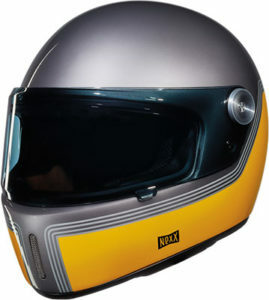 That costs about the same as the Nexx, is SHARP 3 star safety rated and there’s a range of interesting visors available – including a bubble visor.